Home ownership is an important part of the American Dream. Making that dream a reality; however, can be quite overwhelming, even to those who have previously owned a home. 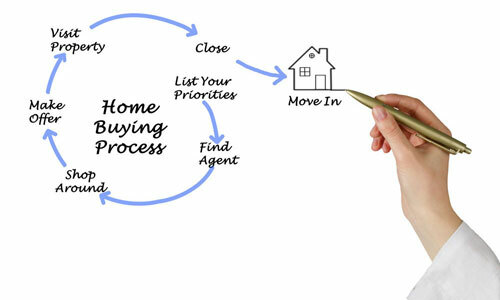 When purchasing a home there are certain steps that must be followed. These steps ensure you are fully prepared to own a home. At Maximum Lending, we are committed to working with you one-on-one in completing each step, in order to ensure a stress free experience. whether you’re looking for a first time homebuyer loan program or a loan to move or upgrade your current home; need vacation home mortgages or investment property loans; or want to secure your retirement with a reverse mortgage, our expert loan officers will fully prepare you for purchasing a home. Don’t look for homes until you know how much you can afford each month. Rule of thumb is to not exceed 30% of your gross monthly income on housing. When factoring your budget, you should also factor in everything related to housing, including: taxes, maintenance, and insurance. Remember you will be paying this amount for the duration of your mortgage. You can use our mortgage calculator when determining your budget. Original pay stubs for the past 30 days. Sixty days or a quarterly statement of all asset accounts including your savings, checking, and any investment accounts. Individual circumstances, such as divorce or bankruptcy, will require additional documents. Please discuss this with your loan officer. Now that you have been pre-approved for financing, you are ready to choose the loan that is right for you. Today there are many loan options to consider including conventional, VA, FHA, and Jumbo. With so many options available, it is easy to get confused, which is why we take the time to work with you in securing the loan that is in your best interest. After you have completed steps 1 through 3, it is time to start house hunting!